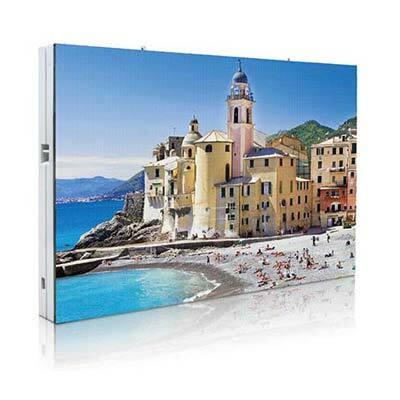 In this section we have compile all the frequently asked questions about LED screens. If you can not find the answer you are looking for, please send the question by e-mail: info@xled.ru, and we will promptly answer it. What is LED screen 16-bit technology? LED screens using 8-bit technology can visualize 256 color for each of the three primary colors. This means that they can display a 256 x 256 x 256 = 16.8 million colors in total. LED screens applying a 16-bit technology reproduce 65,000 colors for each of the three primary colors thus resulting in 65,000 x 65,000 x 65,000 = 280 trillion colors in total. What is the LED screen resolution? LED Screen resolution is the number of pixels contained in 1 m2. It is inversely proportional to pixel pitch: the smaller the distance between pixels, the higher the resolution (because a greater number of LEDs are present on the screen surface). For example, a 20 mm pitch screen has a resolution of 2304 pixels: this value is obtained by dividing the total cabinet length (975 mm) by pixel pitch (in this case 20 mm), resulting in the number of pixels in one line: 975: 20 = 48. Multiplying the number of pixels in one line by the number of lines that can be calculated in the same way, we result in the following equation 48 x 48 = 2,304 pixels in total. Given this formula, we can calculate that the 30 mm pitch screen has a resolution of 1024 pixels, and a 10 mm pitch screen has a resolution of 9216 pixels. What is the maximum and minimum range for LED screen viewing? The largest and smallest range for LED screen viewing depends on two basic parameters: pixel pitch and screen size. Maximum distance is calculated by conversing pixel pitch into meters. For example, a screen with a 10 mm pixel pitch (P10) has an optimum viewing distance more than 10 meters, the P20 screen - more than 20 meters, etc. The maximum distance depends on the size of the screen and can be calculated by multiplying by 10 and converting the screen area into meters. For example, we have a 4 × 3 m screen, respectively, its area is 12 m2 and it is optimal for a maximum distance of 120 meters. Speaking of the maximum distance, it is necessary to clarify that there are two parameters: "readability" and "visibility". "Readability" is determined by distance over which you can read the text on the screen. "Visibility" means the distance over which it is possible to distinguish the image, even if it is not entirely clear. Distance visibility is usually twice the readability distance (for example, if readability is 120 meters, visibility is 240 meters). Readability of course depends on the font size. As a rule, every font centimeter is readable from a 5-meter distance. For example, if the font height is 10 cm, it is readable from 50 meters. What is a LED screen "virtual pixel pitch"? Many LED screens use a technology known as "virtual pixel pitch." It is based on sharing LEDs between pixels and in the result, a giant LED screen seems to be with higher resolution. Therefore, when one speaks of a 10 mm virtual pixel step, the screen is likely to have a 20 mm pixel pitch. It is important to know that the "virtual pixel pitch" does not really effect the image's quality. For example, a screen with a 10 mm "virtual pitch" will never look as good as an actual 10 mm pitch, so it is always better to buy the smallest pixel pitch that you can afford. What is LED screen "Pixel pitch"? LED screen "Pixel pitch" is the distance between centers of adjacent pixels. It is measured in millimeters and is marked by Latin letter "P", for example, P6 means a screen with a 6 mm pixel pitch. On average, pixel pitch ranges from 6 mm for indoor LED screens to 30 mm for outdoor LED screens that are viewed from a distance. Pixel pitch is very important when choosing a LED screen, choosing a smaller pixel pitch does not always make sense - it all depends on the distance at which the audience will look at the screen. LED screen is similar to a giant television but with one fundamental difference: instead of the image being transmitted via an electron beam tube, it is created by pixels consisting of tiny LEDs. Each pixel on the LED screen consists of a red, green and blue LED, which light up to create the right color. If you look closely you will see a lot of very bright lights, but if you stand back, the picture becomes clear. 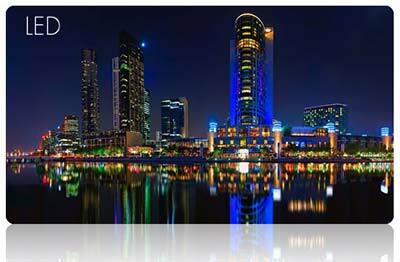 Outdoor LED screen VS indoor LED screen: what is the difference? From a general point of view, outdoor and indoor LED screen have the following differences: # 1 – outdoor screen has lower resolution: outdoor screen is generally viewed from a greater distance, so high resolution is unnecessary. The larger screen cost is compensated by lower resolution which is necessary for ensuring good image quality. # 2 - weather protection (IP protection class 65) and cooling system: outdoor screens have a high degree of protection against moisture and dust which ensures excellent resistance to "ingression" characteristic to outdoor application. In addition, a special forced ventilation system ensures that the temperature within the screen is constant and never exceed critical level. # 3 - high brightness: outdoor use requires high brightness in order to be visible under direct sunlight. Is it true that the LED screens lifespan is 100,000 hours (over 11 years)? 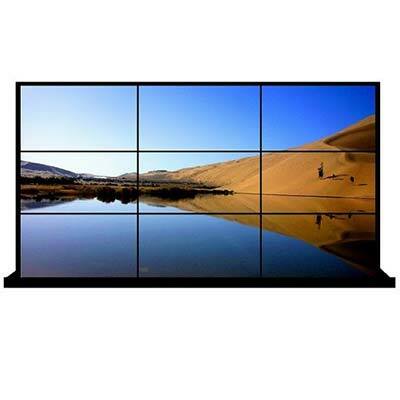 What is the difference between LCD video wall and LED screen? LCD screens have a black rim around the display which effect the integrity of the screen The display is very flexible in size and is suitable for any design including video effects, it has no black rims and there is no loss of information during playback.